Photo Gallery #767: Click edit pencil to get the selected gallery name. 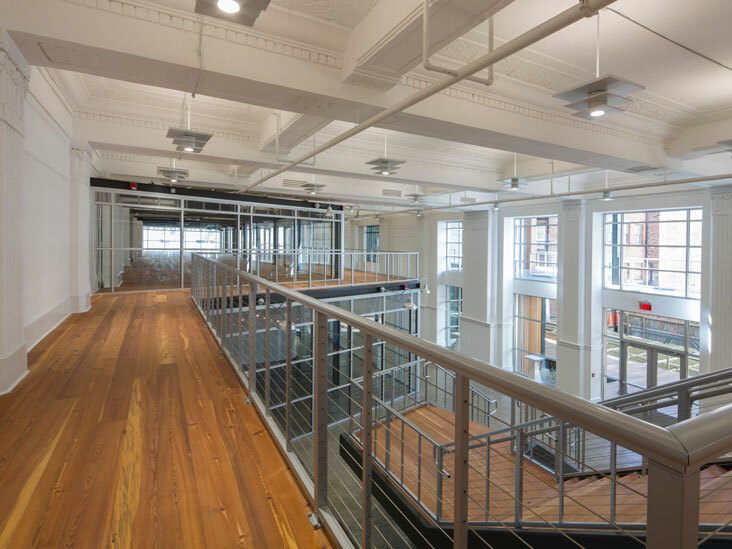 This historic building’s transformation to a mixed-use development is illuminated by custom Manning pendant fixtures. The three-tier Art Deco style design matches other building elements and provides 20 watts of LED uplight, and a powerful 40-watt LED downlight. The finish is a metallic powdercoat paint that gives the appearance of polished chrome at a fraction of the cost (and environmentally friendly too).